Home / Militaria, collectibles, insignia, buttons etc. / Other military items. 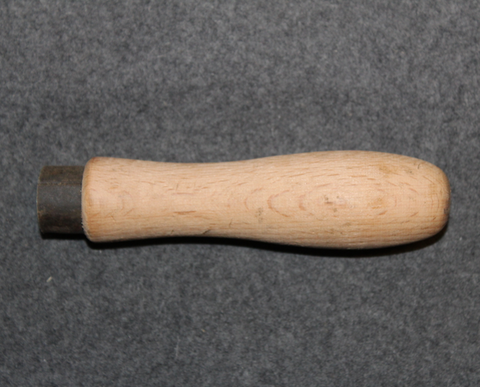 / Military equipment and tools / Finnish Army tool handle. Original, very nice condition finnish Army tool handles. The similar handle is found from 1930´s to 1970´s, it can be fitted to files, chisels or other small metal tools, or just used as peg. Some may have some remnants of SA stamp, but most are without any markings, it is not uncommon to to find some rust from the metal ring. Nice replacement for your valuable Signals or Engineer tool set of WW2 era. Most are unissued, so you have to fit it, but that is easier when you have material to remove. Due the variations of material and production date, the color of wood not be exactly same color as in pictures.